UPDATE (4/25/09): The Foodery, a beer distributor with two locations in downtown Philadelphia, carries New Grist, Mbege and Shakparo. UPDATE (4/16/09): Devil's Den in Philadelphia serves Sprecher's Shakparo Ale. 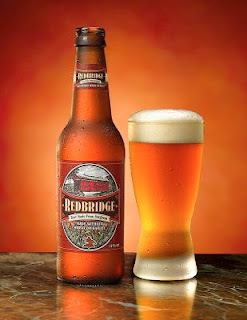 With the introduction of Anheuser-Busch's Redbridge beer in 2007, many adult celiacs were able to drink beer again for the first time since their diagnoses. Redbridge is a sorghum-based beer, making it safe for gluten-free diets. While Redbridge is the most widely available gluten-free beer in the Philadelphia area, others are worth seeking out. A beer that is both gluten free and certified Kosher for Passover is Ramapo Valley Brewery's Honey Beer, which is made from fermented honey rather than sorghum. 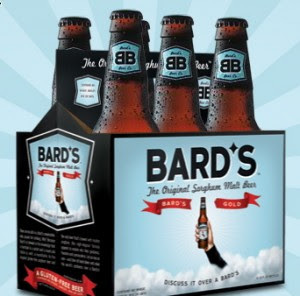 I tried this brew a couple years ago at a benefit for the National Foundation for Celiac Awareness and thought it was . . . unusual. I didn't particularly care for it but it can fill a void for those looking for an escape from the old Manischewitz table wine at the seder. I'm not aware if it's locally available. Several other varieties are produced by two Milwaukee breweries: New Grist (sorghum and rice) from Lakefront Brewery, and Shakparo Ale (sorghum and millet) and Mbege Ale (bananas), African styles from Sprecher Brewery. Bella Vista in Philadelphia is the local distributor for both companies. There also are gluten-free beers imported from Europe, most notably three varieties brewed by Green's in England. Don't forget that many "hard" ciders are naturally gluten free. I'll cover a few of these brands in a future post.